​​Christian Yelich has seven home runs against the St. Louis Cardinals this season. Yes, you read that correctly. 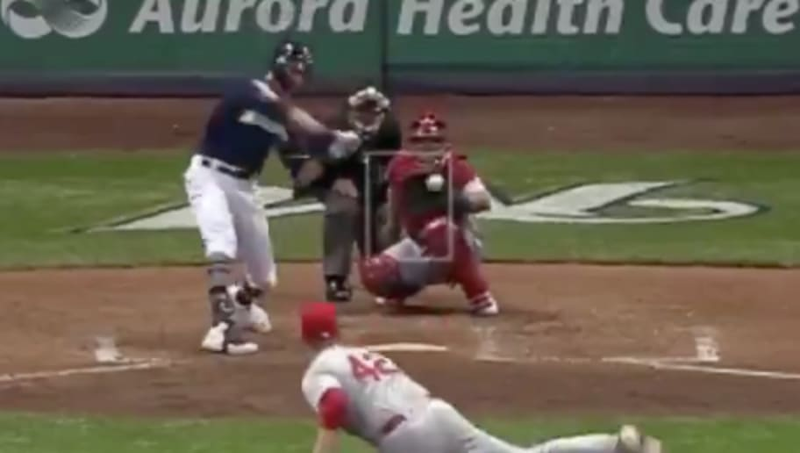 The 2018 NL MVP hit ​not one, not two, but three bombs against the Cards on Monday night in a Brewers victory. Yelich is a cheat code. After Paul Goldschmidt hit three home runs against the Brewers earlier this season, Yelich is simply returning the favor in grand fashion. If you're counting, that's also 7 RBI on the night. If you didn't think Yelich could one-up his splendid 2018 campaign, you were wrong.